Maintaining a culture of safety in the workplace has several benefits, from boosting employee morale to the avoidance of potentially costly litigation. Still, far too many employers continue to focus on reactive safety programs which initiate change only after an accident occurs, which is often too late. Some employers are starting to involve employees more directly in the planning and development of their safety programs. A powerful tool that employers can utilize to engage their employees is the safety perception survey. A safety perception survey provides a quantitative measure of how employees feel about current safety policies and procedures, and provides them an opportunity to share their recommendations for improvement. A safety perception survey is grounded in the understanding that what people believe and how they behave are directly related to one another. A well-administered survey will both quantify what employees perceive and reveal any disparities between the beliefs of workers and those of management. Completed surveys can be used to develop a road map for recommended changes, make adjustments to current policies and procedures, make improvements in current practices and create the framework for a long-term safety strategy. 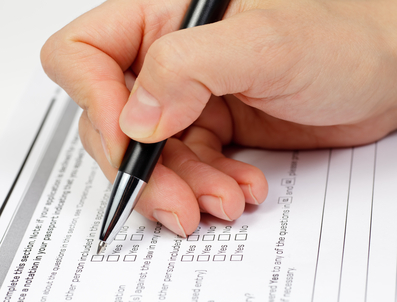 Surveys can be administered wholly online or in combination with face-to-face employee interviews. A culture of trust: Employees will appreciate the fact that management cares enough about their safety to solicit and value their opinions. Safety perception surveys tend to cement employer/employee relationships and open important dialogues which can then be enhanced through structured workshops and on-site training programs. A more accurate measurement: One-sided approaches, which don’t involve employee participation, provide a partial, incomplete picture of current practice. The safety perception survey produces a more comprehensive, and more accurate assessment. A blueprint for action: Safety perception surveys are designed not merely to measure opinion, but also to generate action. Survey results are associated with specific actions steps (some of which come directly from employees taking the survey, further enhancing morale) and are therefore geared to immediate and long-term improvements. Cost-effectiveness: unlike many of the more traditional approaches, the safety perception survey doesn’t cost very much to administer. Employers who understand the importance of promoting a culture of safety in their organizations are well advised to include their employees in safety planning and strategy execution. A safety perception survey is one of several tools they can use to accomplish this.